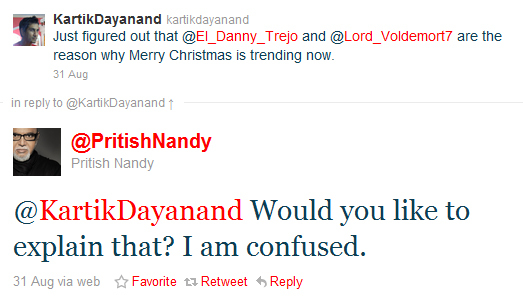 Mr. Pritish Nandy who was also wondering why Merry Christmas was trending at that time saw this tweet and got curious. 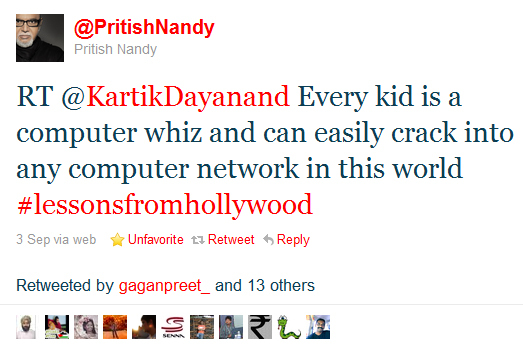 He tweeted back Kartik. 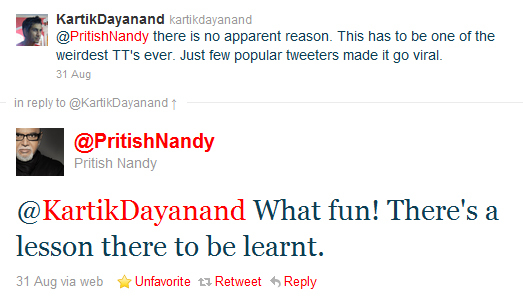 Kartik replied with the following tweet explaining how the trend caught fire. 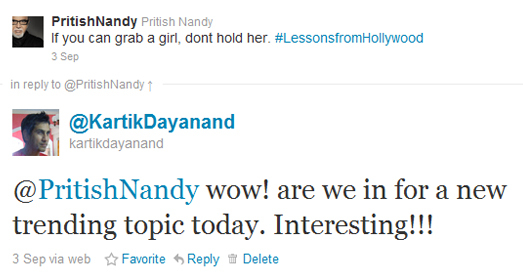 He replied back with the following tweet which was also his last for that day. It seemed that he got into deep contemplation going by the contents of the tweet where he speaks of a lesson to be learnt. 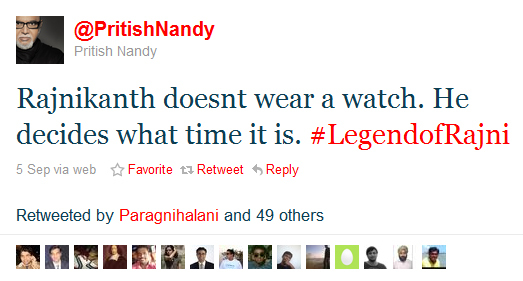 Three days after this interaction Pritish Nandy resurfaces on Twitter again and this time with a mission. He tweets with a hashtag #LessonsfromHollywood and sends a flurry of similar tweets. 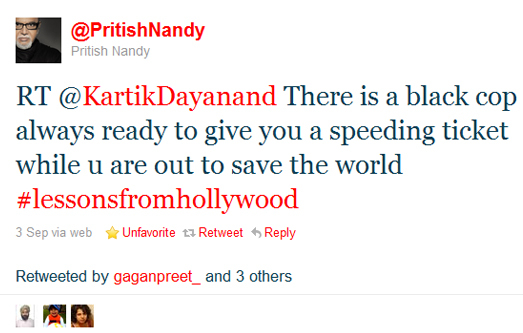 Kartik decides to join the fun and tweets a few #LessonsfromHollywood tweets that are ReTweeted by Pritish Nandy. 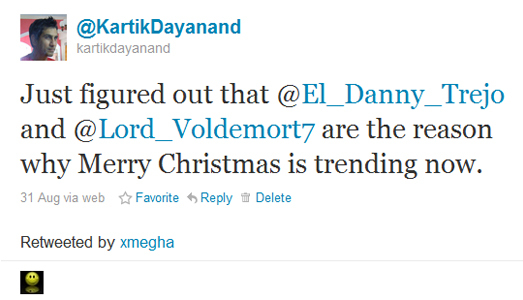 The trend catches on and people start tweeting and Re Tweeting tweets with this hash tag. They wait and hope it makes to the trending topics list, it doesn't. The topic seems too niche. By the end of the day most of them go back to their routine and forget about this attempt. 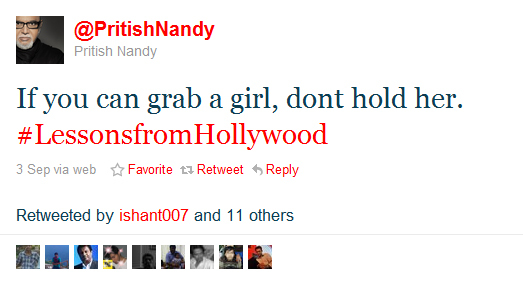 If one thinks Pritish Nandy has given up hope then its a mistake. He has tasted blood, what he is about to unleash in next couple of days is something that no one ever imagined. 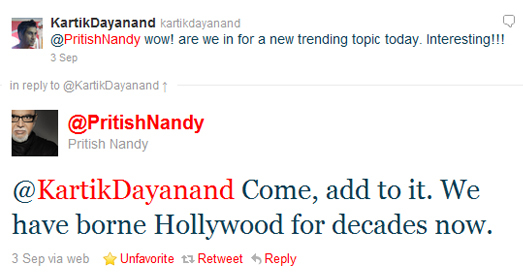 The number of tweets and re tweets was mind boggling and in no time it became a world wide trending topic. Also within a matter of minutes it spread like wild fire on Facebook too. 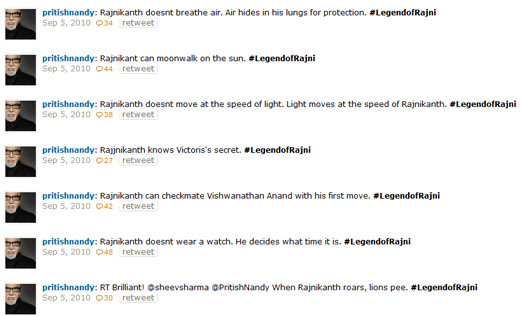 Since that day, there has been no stopping Rajinikanth jokes on internet. Initial jokes were all rehashed versions of Chuck Norris jokes but as time went by many original Rajini jokes surfaced and they continue to do so at a rapid pace as we write this post. 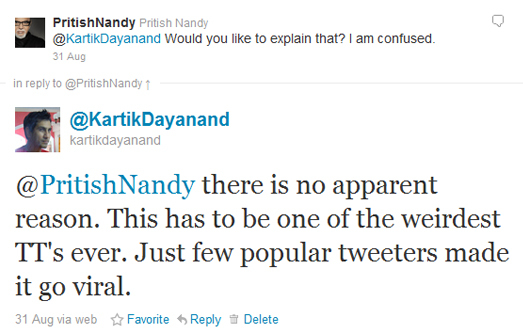 In conclusion, if ever you have encountered Rajinikanth jokes on internet and loved them or cursed them you now know who is the person responsible for that, @PritishNandy, and @KartikDayanand for planting the seed in his mind. And to think of it all, it would never have started if it were not for Merry Christmas. Here is wishing you all a MERRY CHRISTMAS once again and we hope Rajinikanth doesn't read this post as we have heard that if he gets pissed off he might actually decide to delete the INTERNET!!! PS: All the above tweets are true and not doctored.